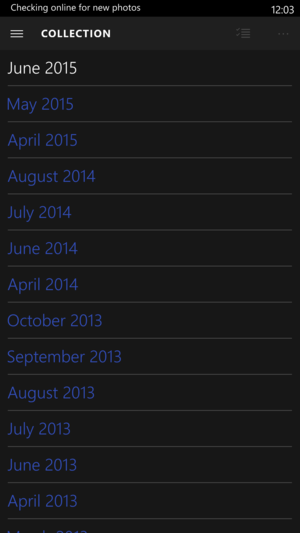 Hey Cortana, you look nearly final in build 10136. A one-handed mode is another highlight, among many small changes--and a few bugs. Microsoft claims the latest version of its Cortana digital assistant within build 10136 of Windows 10 Mobile is nearly complete, and it shows. It launches quickly, provides a comprehensive view of your day, and sparkles, fresh and clean. Unfortunately, I wasn’t quite as impressed with the rest of it. Microsoft released the latest build of Windows 10 Mobile on Wednesday, after warning that prospective testers would either have to downgrade their existing Windows 10 Mobile phones back to Windows Phone 8.1 or else upgrade a newer phone. 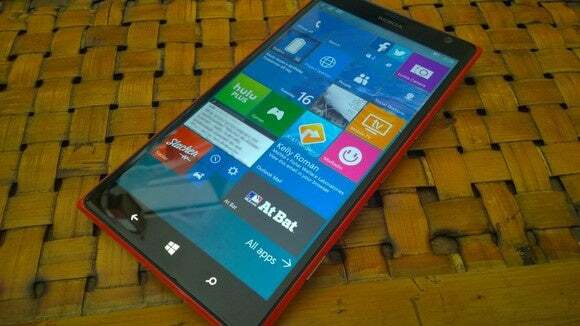 I chose the latter, upgrading the massive Lumia 1520 phablet to the latest build. 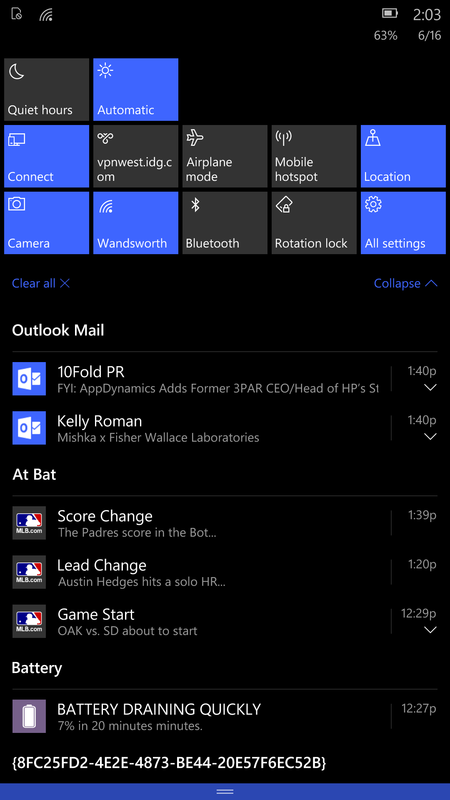 That proved fortuitous, because build 10136 adds a one-handed mode for straphangers, covert texting, and other scenarios where you can’t hold your phone with two hands. Microsoft also delivered a lovely update to the Photos app, organizing your photos thoroughly—and, even better, adding the Lumia Camera app to phones like the Nokia Icon. There’s also a number of other random, minor UI improvements scattered throughout. 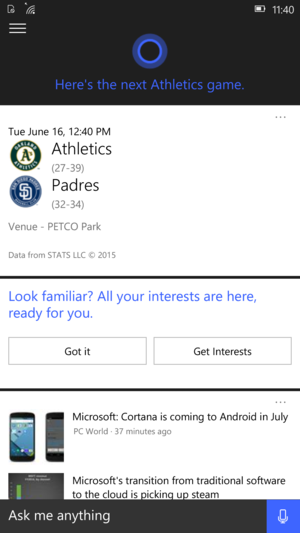 But Cortana's the star attraction for Windows Phone, and the app looks and feels terrific. What's not so terrific in this build: an inability to pin tiles to the home screen, multiple Search (Cortana) apps, Live Tiles that either wouldn’t work or simply stopped working, and the like. I can certainly chalk these up to preview software, but let’s hope Microsoft solves these problems soon. 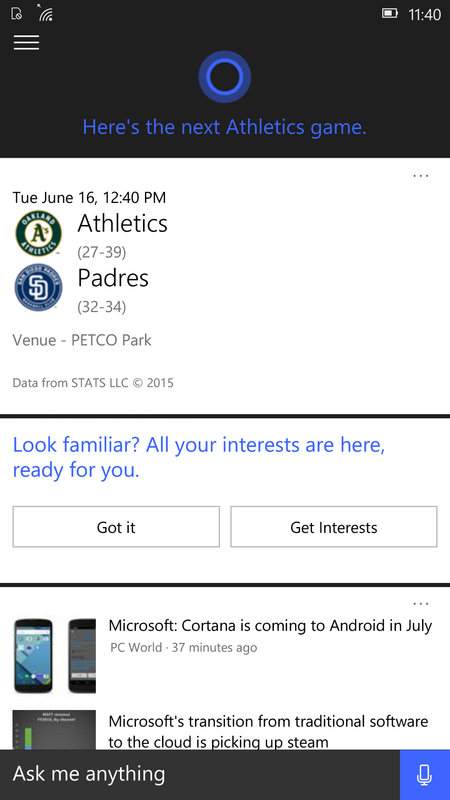 Here’s the overview of what Cortana thinks you need to know. Google Now, Apple’s Siri, and Microsoft’s Cortana continue to elbow each other aside as the three digital assistants compete to be the most prescient and helpful. Following Apple’s unveiling of improvements to Siri with iOS 9, it’s now Microsoft’s turn to improve Cortana, and build 10136 does just that. Each assistant has its own style: Siri works quietly behind the scenes. Google Now briskly doles out a series of cards. Cortana provides a one-page executive summary of what she believes you ought to see, and presents it to you when you trigger what’s now called the Search app. After a bit of introduction, Cortana gets down to work: She opened my page with the score of the Oakland A’s game in progress, reminded me I had a water bill to pay, and finished off with the latest Microsoft news. Be sure and scroll down—there was actually a long list of items that includes local weather and nearby places to eat, arranged in a card-like fashion. Cortana didn’t find a note from Amazon announcing that a shipment was en route, as it promises to do. When I asked, “where is my package,” it snapped up a list of search results lickety-split—not the answer I was looking for, though. You can ask her stock prices and other facts, and the results were swift in my experience. Cortana on (from left to right) Windows 8.1 Update, Windows 10 Mobile Build 10030, Windows 10 Mobile Build 10136. What I like about this version of Cortana is that she is explicitly helpful. Cortana explained that she was providing me the in-game score, and also asked midway down the page whether I wanted to continue receiving restaurant recommendations. Google does this as well, but much more impersonally. If this is the Cortana Microsoft ships as part of Windows 10, I think you’ll like it. You may experience some problems with Live Tiles on the home screen after installing the new build; I did. For whatever reason, I was able to add apps as Live Tiles soon after the build was installed. But I quickly found that I couldn’t add any more apps, and that those that I had installed on the start screen either failed to show live information or inexplicably stopped working. They even rearranged themselves randomly on one occasion. That prevented apps like Cortana or my battery meter from displaying live information. Fortunately, a reboot seemed to solve the problem. Microsoft’s Photos app has evolved into a universal app that will eventually straddle PCs, tablets, and phones, and it looks like it: The thumbnails are a bit smaller than you may be used to on Windows Phone 8.1, and they load slowly. They are, however, more neatly organized, especially with a new by-month view that allows you to quickly find your vacation photos from last August. The month-by-monthn view within the new Photos app helps you find shots quickly. If you’re running the new build on one of Microsoft’s somewhat tired flagship phones—the 930, Icon, or 1520, as well as the new Lumia 640 or Lumia 640XL—Microsoft recommends that you download the new Lumia Camera beta app. It allows you to shoot video with Lumia Moments, then extract pictures; quickly snap pics with the camera; and dynamically adjust the flash using Rich Capture. Unfortunately, Microsoft thought I had maxed out the number of Windows phones allowed under my account and wouldn’t let me download the app. Still, I’ve tried the new camera apps elsewhere and can wholeheartedly recommend them. I’m a big fan of phablets, and I carry a bag that typically holds the Lumia 1520, a Lumia Icon, and a Samsung Galaxy Note 3. But on any crowded Bay Area BART train, I find it difficult to fumble with my phone while holding on to a strap or handrail. Microsoft solves this problem—sort of—via long-press of the Windows home key, which moves the top of the screen closer to your stretching fingers. This works all right in practice. Aesthetically, I dislike the black background that Microsoft shows on the top of the screen while the rest of it is pulled down. It feels like you’ve fallen off the home screen. (Show the background instead!) But it works, including the ability to pull down the top drawer of quick-action items. Microsoft also made a number of random changes to the new build’s UI. The PIN pad is transparent, for example. The quick-action shortcuts on the top of the screen differ somewhat from the last build, too—they’re flatter, and boast a different font. I noticed that when I tapped the back arrow to load a previous app, a grid of apps appeared, rather than a horizontal queue. Microsoft also tucked a new background behind my home screen, of a swimmer cutting though the water. The new Action icons within Wndows 10 Mobile. Because I loaded the new build of Windows 10 onto a new phone, I wasn’t able to draw direct comparisons to the performance of the new build, one over the other. It’s quite a mixed bag, however. Cortana’s responses were extremely snappy, to the point that I wondered if frequent requests were cached on the phone. But every time I jumped back to the home screen, I saw a “loading” icon for a second or two. I don’t want to see that, ever. My Surface Pro 3 also failed to recognize the Windows Phone when connected to it. The phone's OneDrive app doesn’t seem to quite work, either, so it’s a bit of a pain getting photos off the device. Twitter’s app repeatedly crashed, as well. We can chalk all that up to beta software. Still, the clock’s ticking. If the reports are correct, we have about three and a half months, max, before Windows Mobile 10 rolls out. I’m enthused by how Cortana looks. The next step is applying the same sort of rigor to the remainder of the operating system and its apps.